CAN13 – Ordinance Rifle, full scale, 3″ bore, 820#, 72″ long. 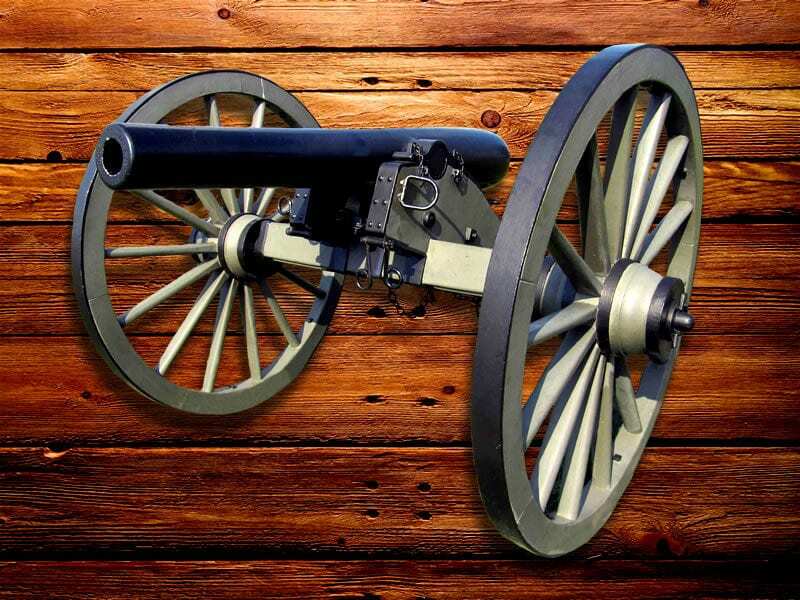 The 3-Inch Ordnance Rifle , Model 1861, was the most-used light artillery piece of the Civil War. More guns of this pattern were made than any other. Ordnance Department records show that nearly 1,000 were purchased, but published reports based on records of Phoenix Iron Company which manufactured them indicate the total was closer to 1,400. Since it first appeared on the field, confusion has surrounded its proper name. Due to a somewhat superficial similarity to the cast iron guns designed by Capt. Thomas J. Rodman, the name “Rodman” has often been attached to this gun . But it is not a Rodman gun. The 3-Inch Ordnance Rifle was made of wrought iron under a patented process invented by John Griffen, superintendent of the Phoenix Iron Company, Phoenixville, Pa. Its official government name — on the drawings, on the contracts and in the inspection and payment registers — is 3-Inch Wrought Iron Rifle. That is a good point to remember as it is the absolutely correct name. The modern, generally accepted term 3-Inch Ordnance Rifle is more common. 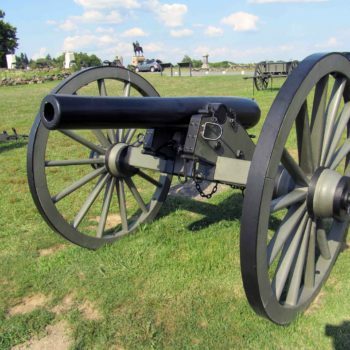 This name “Ordnance Rifle,” which is not found in any records of the early 1860s, comes from the fact that the Army Ordnance Board drew the final design and set the specifications in July 1861, for both the 3-Inch Wrought Iron Rifle and a 4.5-Inch Siege Rifle. 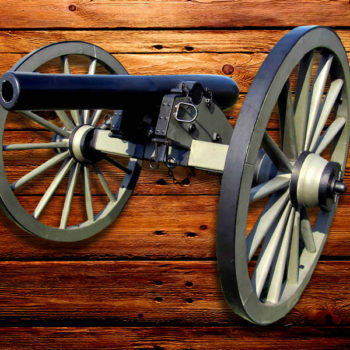 Though the latter is of similar design and shares the common name “Ordnance Rifle” today, it is a cast-iron gun of completely different manufacture. Bore – 2 1/4, Breech: 7”, CHEEKS: 7 1/8", OAL: 55", TRUN D: 2 3/4', TRUN L: 2 1/2", TRUN OAL: 12 1/8", TRUN-CASC: 24"